The project of unearthing these writers became a labour of love that made me new friends around the world, as I tracked them down and heard their stories. I discovered how Walt Disney saved banned European writers, how a bestselling Tibetan monk turned out to be a plumber from Devon and how Alfred Hitchcock discovered female suspense novelists. One successful author went mad and started mailing his readers rocks, and why another was so badly behaved that his publisher had a restraining order placed on him. I tracked some writers to their homes, where they told me the truth about what had happened to them. But I also look at the novels they wrote, and show why they’re worth seeking out. So, from a ten-year mission to collect missing authors I selected 99 of the best, and added a dozen essays about others. The result tells the stories of the authors who deserve to be remembered and rediscovered by book lovers everywhere. The selection is designed to inspire, to offer new reading ideas and let you take another look at authors you only thought you knew. People ask me if there’s one forgotten author readers should be reading right now. I’d suggest Norman Collins. He’s like a less cynical Evelyn Waugh. His novels are very human and deserve to be rediscovered. The project feels as if it’s far from over. I’m still discovering lost authors every day and adding to a growing list. To inspire you to launch your own investigations – your own journey to the back of the shelf – here are some of little facts I discovered about forgotten authors. Some authors continue writing after they’re dead. Virginia Andrews was so successful that the Inland Revenue continued to tax her beyond the grave. Charlotte Armstrong’s suspense novel ‘Mischief’ unfolds in real time – the events take place in the length of time it takes to read it. 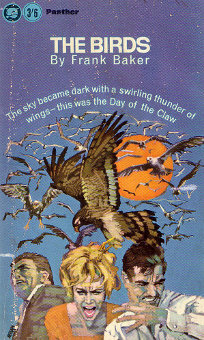 Two authors wrote very similar stories called ‘The Birds’ at the same time, but one of them is utterly forgotten. It bears many of the hallmarks of the celebrated film. The question is; did Alfred Hitchcock make the right version? Books can reappear in surprising ways. RM Ballantyne wrote adventures for Victorian schoolchildren, but one of his volumes was reimagined as a rock opera by Deep Purple. Alexander Baron’s epic novel of Edwardian Jewish gangs, ‘King Dido’, tells a tale that outlines the causal link between poverty and crime. It’s one of the least read novels about London, but wonderful. Baron was too shy to attend his own launch parties. Some authors write too much; it’s estimated that Charles Hamilton wrote 100 million words, but he’s now out of print, and remembered only for a TV show. 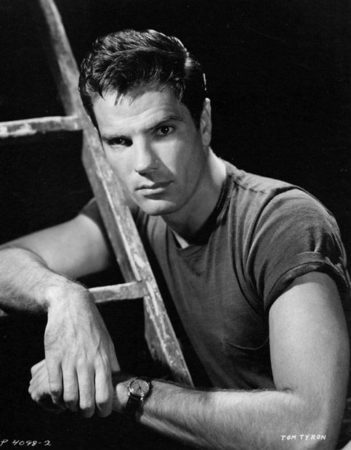 I knew that Thomas Tryon had been a handsome, successful actor. Then I discovered that he only started writing because Marilyn Monroe died – he had been about to star opposite her in her final film. After her death he gave up acting and switched to writing novels, finding even greater success as a novelist before tragedy struck. When secretary Winifred Watson gave up knitting in the office and starting writing, the resulting novel she produced caused controversy and excitement – until the bombing of Pearl Harbour killed her career. Dennis Wheatley went from potboiler crime and historical novels to tales of weird fantasy and the supernatural before Churchill asked him to use his imagination in the War Office and work out what the Germans were up to…after all, who better to ask than a writer of speculative fiction? King Dido is wonderful and it isn’t well enough known, but it’s not “one of the least read novels about London”: it keeps popping back into print regularly. One candidate for one of the least read novels about London is Pierce Egan’ Tom and Jerry and The Finish of Tom and Jerry, which hasn’t been published since the nineteenth century, though it influenced Dickens and others. There’s probably a novel in the depths of the BL that would astonish us all, but no-one’s read it for yonks. Have to say that Dennis Wheatley wrote some of the most leaden prose committed to paper, he had some sort of fixation on middle european royalty and skullduggery which looks totally dated – only his horror stuff seems to still work. I agree about Wheatley although I have a soft spot for the one above. I would argue that Baron is forgotten because nobody I know has ever read him! Wild Chamber is finally available in US–hardcopy, kindle and audiobook. So far trending with almost 5 stars; reviews mostly from viners. Can we boost the ratings and get more sales? Some of Wheatley’s wartime books are rather curious – they are full of fictionalised versions of events that actually happened, but the details of which would never have been allowed to be published in newspapers of the time. One novel concerns the invasion of the Low Countries in tremendous detail, including mention of the use of fifth columnists, a detail that would never have been for public consumption in daily news media, as it could be seen as demoralising. It’s almost as though someone very high up told Wheatley to let the public know the truth, but as a work of fiction. 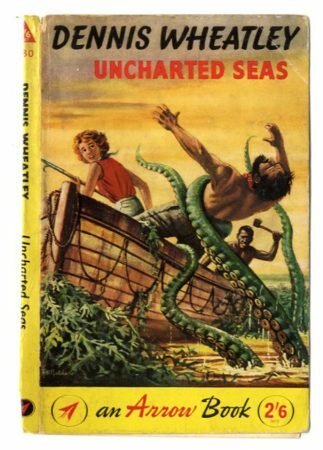 Another small thing I always liked, was that his hero, Gregory Sallust, ages as the stories continue, eventually dying as a frail old man, in ‘The Witch Of The South Seas’. None of the constantly mid thirtyish James Bond here. “Rather curious” is quite the phrase for those circumstances, Ian. It’s enough to make me try tracking down some of those books in spite of the “leaden prose” warning. I like the fact that his hero ages. My mother and I decided that Rex Stout’s Archie would be seen as a “dirty old man” in the late fifties when he was still behaving like a twenty something man about town when he would actually have been in his sixties, probably.